The most reliable AHD PTZ CCTV Camera in the market! 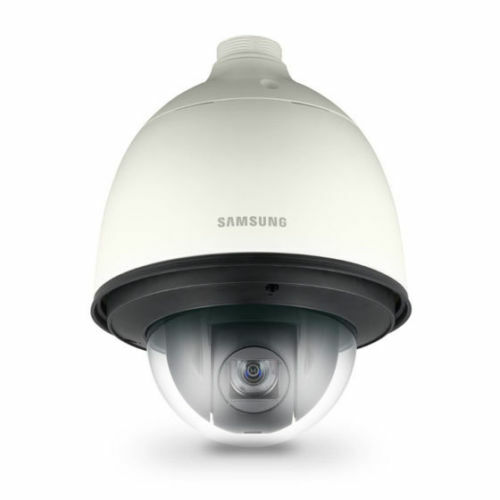 The HCP-6320H PTZ dome is an outdoor PTZ dome that features a 32x auto focus zoom lens with low light level capabilities of 0.03 Lux Color. Up to 2MP resolution over Coax, The PTZ has full 360° capability, 700° per second pan speed, and 255 presets, True WDR (120dB), and VPS (Virtual Progressive Scan). The HCP-6320H is compatible with a range of control protocols via both RS-485 only, IP66, IK10 rated.